As we gear up for the final days of this playoff run, a couple years earlier than any of us imagined, it might be a good time to think back to the last playoff run the Astros had, ending in the first Astros World Series appearence in 2005. On October 25,2005 Minute Maid Park played host to the first World Series game ever played in the state of Texas. 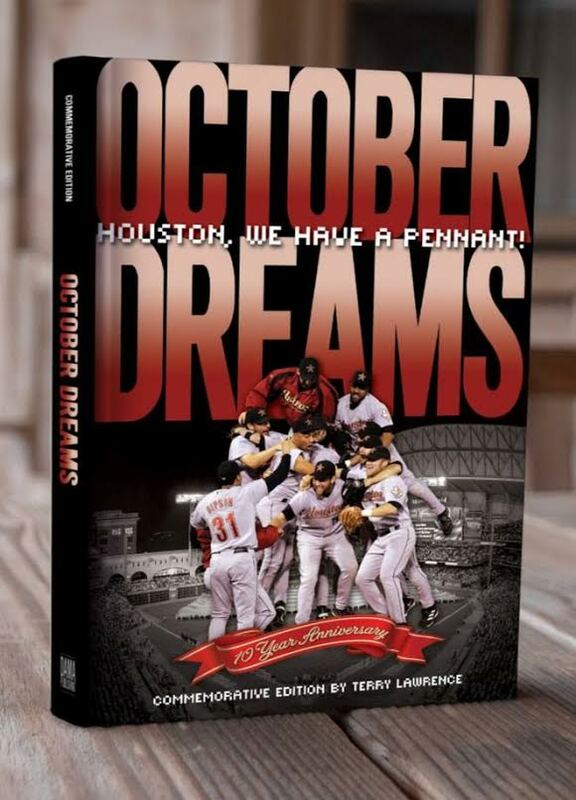 With 'October Dreams' and the tenth anniversary of this momentous occasion, Terry Lawrence has brought us all a great way to relieve a time that brought so much excitement to Houston and to baseball. A terrific read for any baseball fan." Terry is a lifelong Astros fan, having watched his first professional baseball game at Colt Stadium. He is the owner of Dama Publishing has has published two other Astros related books.